Voted as the number 1 tour by over 1 million customers on hostelworld.com, this tour promises to be extremely enjoyable for the entire family. 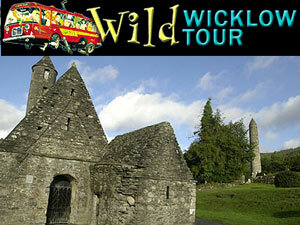 The full-day tour to Glendalough is recommended when you have nothing else planned for the day. The tour begins as early as 8:50 am and includes a drive along the coast, craft shopping, breathtaking tours of the Upper Lake and to Sally Gap Adventure, the location for the filming of Braveheart. The guides are very knowledgable, helpful and friendly.